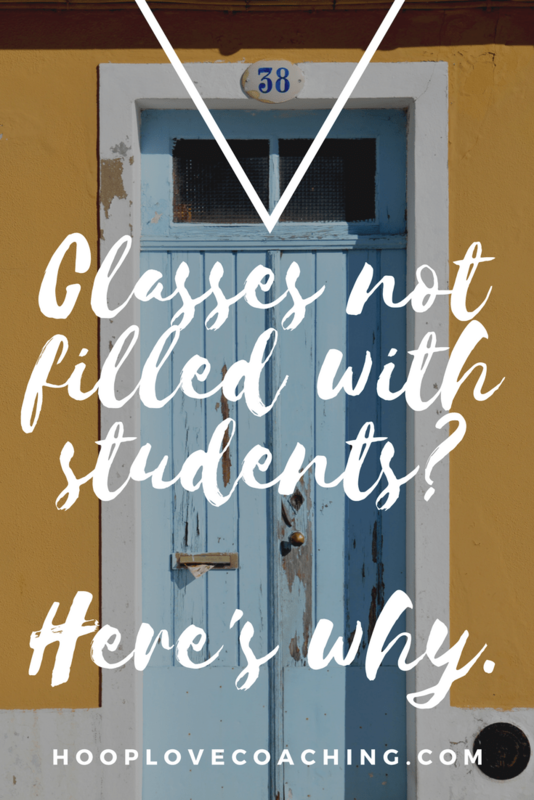 This post is for you if you have ever poured your heart and soul into planning and preparing for a class or course and then showed up to teach with less than desired student numbers (we have all been there). Or worse, you are standing in your studio on the first day of class not even knowing who will turn up (please don’t let that happen anymore!). Neither of those situations are ideal for your confidence, your class preparation or your business. How can you possibly move forward if you don’t even know how many students you have turning up to your classes? So if I can be brutally honest, I am going to share with you some reasons why your classes are not filled with students. And, let’s see if we can find some solutions to the problems. This is a pretty epic post but because I believe it will be so valuable to you, if you read all the way to the bottom (or listen to the full audio) you will find a worksheet that you can download and fill out to help you plan to make some changes and get your classes filled. 1.Nobody knows your class is happening. Let me rephrase that. No body interested/available/committed/”ready”/excited/ideal knows about your class. At least not enough of them. They are out there, you just haven’t reached them. Yet. Google processes over 40 000 searches every second, and sadly almost zero of those will be for your hoop class, ever. I just checked and in the last 30 days approximately 100 people have googled “hula hoop class”. That is in the entire world. Very few people are searching for your hoop class, but that doesn’t mean your class can’t be full. Heck, you can even have a waiting list if you do it right! So if people are not Googling your class, you need to try some other creative strategies to get your class in front of as many potential student eyes as possible. If the word marketing freaks you out let’s rephrase that too. Let’s call it “connecting with your friends” “inviting peeps to your party” “helping people to change their life” Whatever you want to call it you need to get seen by more potential students, get talked about in more friendship groups, get stopped in the street carrying hoops and happily give your promo material away, get the opportunity to invite others to your class more often. 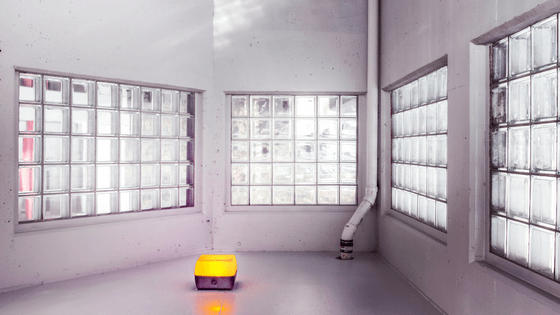 Marketing…oops I mean “inviting peeps to your party” doesn’t have to be expensive, scary or boring. When you get to the part of the post where you are downloading my worksheet, I have made space for you to list your top 5 new marketing techniques you are going to test out. There are 100 ideas in my ebook so hopefully you can pick just 5. 2. You have no booking system. We live in an age where you can click on an app that tells a driver near by to pick you up a burrito and bring it to your door in a branded brown paper bag. (Uber Eats) If a potential student does hear about you but when they come to whatever online link you have given them and they can’t a) get more information easily and quickly b) can’t make an immediate booking c) can’t contact you easily to ask for more info (that is assuming they haven’t already clicked away to get a burrito delivered to their door) then you have lost a hooper. Make it simple. Even more simple than you think possible for people to find you, book into your class and learn more about why your class will benefit them. A professional booking system helps people to trust you, connect with you and confirm their place in your class. If this doesn’t exist they either click away or find someone else. 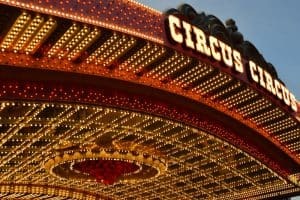 Take a moment to think about your booking system; if you have one. What are the steps a potential student has to go through to book a place in your class. See a flier > go to website > click on hoop class > read description > enter booking details > make payment > receive booking confirmation email > turn up to class. If yours is not that simple yet, what ways can you make changes to ensure your potential student’s journey easier? How can an excited student book into your class right now. 3. You don’t understand your community…yet. How do you find out what your friend really wants for her birthday? You ask her. How do you decide what time is best to meet up with a group of friends for coffee? You ask them. But if you run your kid’s hoop class from 7 – 8 pm without checking with a group of parents what time their kids go to bed/do their homework/have other classes, then you are guessing the best class time. 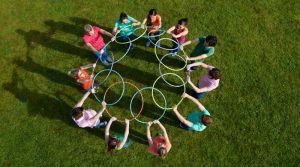 If you decide to run a twin hooping workshop in a gym that has not had any other hoop classes then you are guessing that they will be interested in twins. There is nothing wrong with guessing, you could call it testing, and sometimes we simply have to try things out. But guessing takes time, money and energy. If you really want to get to know your community and start to connect with potential students you ask, you research, you get out and connect. Side note : if that is terrifying to you, the idea of going up to people and saying “hey I am going to start a Beginner Hoop Class at the local arts centre, what time would work for you” then do some other research. Google all of the movement and dance classes in town. Look for common times and locations, this might give you some clues. Call some venues and ask when the most popular class times are or what the most popular dance courses are. Check the Facebook pages of local gyms and healing centres and get an idea of what their student ages and interests are. Your research will give you some ideas of what works in your community and as you grow your student numbers you can ask them, talk to them, get feedback and expand your classes accordingly. 4. You are inviting the wrong people. That might sound harsh, because we really do want the whole world to come and have some hoop fun but it’s unrealistic to think everyone in town will want to show up to your class. During your planning phase you would have mapped out your class plan, created activities that would be beneficial and fun and structured your playlist to suit your class. Who were you doing that for? What type of person (they can be an imaginary friend for now) would love what you have created? Let’s start with an age group. Then a location. What do they do for a job? Where do they like to shop? What do they do in their free time? Starting to get a little creepy? No. If you do not have your ideal students in mind then how will you know who you are inviting, what they want and where to find them. If you are trying to invite everyone then it is likely that a lot of your time and energy is being wasted. Creating 1 – 3 student profiles can be really helpful because they become types of people that you will be promoting to and inviting to your classes. That’s not to say that others won’t turn up but you have to know who you are inviting to your party. It is NOT everyone. Let’s do it really quick right now. If your students or potential students are very different to mine then adjust accordingly. 3 unicorn students…made up, ideal students. Sophie is the kind of student who would really appreciate a killer playlist, loves a class that allows playtime to chat and connect but really wants a workout. Sophie is usually away or at the beach on weekends so would never come to Sat/Sun events. Sophie would probably find fliers in cool cafes, hear about my classes from her girlfriends, see other hoopers at dance festivals. Sophie would like a course that she can commit to so that she can come every week and would probably bring two or three friends. 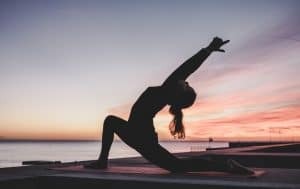 If I wanted to attract Sophie (and woman like her) I would need to promote my classes as cool, modern, workouts with awesome music and lots of other ladies, with a festival vibe. They would likely need to be on week nights at an appropriate after work time. Pain points : Would rather be playing than working, wishes she had more holidays, wants more fun and less work in her life. 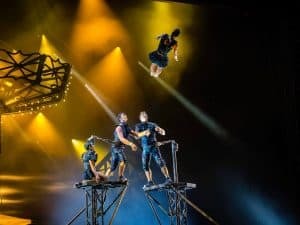 Sara would appreciate a playful class, she would enjoy hoop choreography because she likes to think she could perform one day, she would love the social element of class. Sara works long hours so the classes couldn’t go too late. If I wanted to attract students like Sara I would put some flashy fliers in cafes in the city work area, I would hold a Sunday hoop jam in a central park, I would put my class on Meetup.com or Gumtree where she often looks. I would do some very targeted Facebook advertising for my local area and women of Sara’s age group and demographic. Claire would enjoy tricks and learning new things, she would be drawn to hooping for it’s strength building and as another way to build core strength and coordination. She might try it at her gym or see it on Instagram but be interested in learning more and seeing if it is for her. She would enjoy the challenge. If I wanted to attract students like Claire I might put my posters in the local Lululemon store, in some health shops and maybe do some demo classes at local yoga days/studios/stores. Obviously people like Claire wouldn’t be at the football or in a good mood at the grocery store but she is likely to come to a hoop class at her gym, dance studio or the local YMCA. By creating these types of unicorn student profiles you are better able to understand who you are wanting to attract, where they might hang out and how you might be able to communicate with them, invite them to your class. 5. You haven’t given them enough reasons. You have to show how your classes are valuable, how they will benefit students. 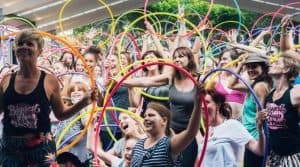 Remember earlier I mentioned that not many people are searching for hula hoop classes BUT they might be typing in fitness classes, weight loss, core strength, home workouts, dance workouts, community classes, easy dance choreography, easy workouts, social groups, how to burn off burritos. What does your community want? What are your unicorn students likely to be searching for? What kind of benefits would attract them? 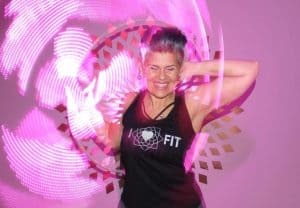 Sharing the benefits of hooping and your classes in promotions and on your website or booking page allows potential students to see if your classes match their desires. Adding the benefits and value of your classes also attracts more potential students to your promotion or website that leads them to your classes. 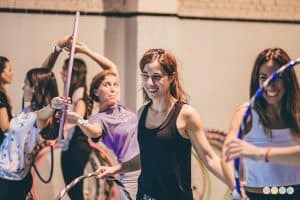 What are the benefits of coming to your hoop class? I am sure you can create a long list. Wow so this was a long way of saying that you can make small changes right now to improve the way you understand your potential students and connect with them. In just a few minutes you can take a look at the barriers that stand between your potential students and bookings, then you can make changes to your booking system and updates to your communication. If you are putting your heart and soul into preparing, planning and designing your offerings but you are still not filling up your classes then download the worksheet I have created for you below, take some time to map out the way you do things now and make a clear vision for the changes you are going to make to fill your classes and meet your potential students. Then, in the comments below, let us know the most valuable changes you are going to make to have a class filled with spinning hoops and happy students.